Marvelous Multiagers! : Classroom Setup: Complete! With a week left until opening day, I went in today to finish up the nuts and bolts of my classroom. Over the weekend, I visited my local Super Target (thanks for the tip, Sydney! 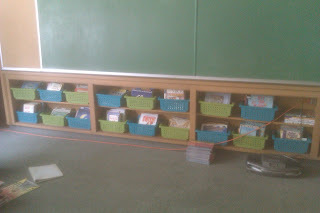 ), and I bought baskets for my classroom library. They were only $2.99 and came in an assortment of colors! I bought the medium size and they fit a ton of books inside AND fit perfectly on my little shelves. 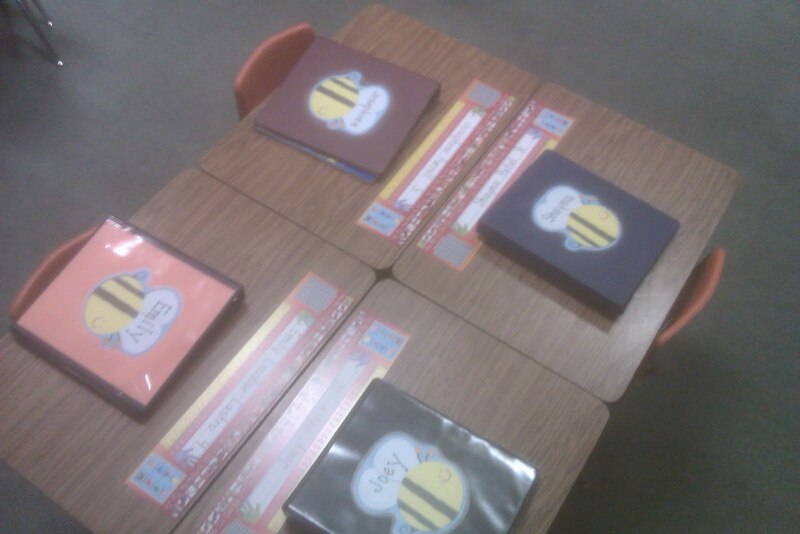 I set out everybody's BEE binders and Religion books on their desks along with their nametags so I could get a sense of where I wanted everyone to go. I think my groups will be good for now based on what I know about my incoming students! And here is the view from the back corner! You can see all three of my tables and my desk! Also you can see where my library is relative to the rest of my room. So, if the students were to come in tomorrow, I would be ready enough! All I have left to do is decorate bulletin boards, hang up my alphabet line, get my word wall ready, and label my library baskets. Well, I have lot more to do, but those are the BIG things I definitely want to have done by the 16th! 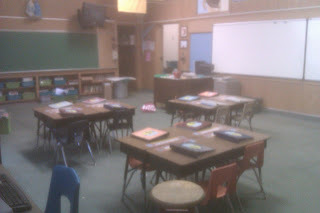 If you'd like to see more pictures of my developing classroom, you can look here! 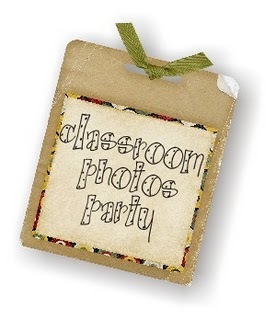 For pictures of other teachers' amazing rooms, check out the classroom pictures linky party hosted by Teaching Blog Addict! It's starting to look like a classroom! Love the colors you chose. Those are my colors too. 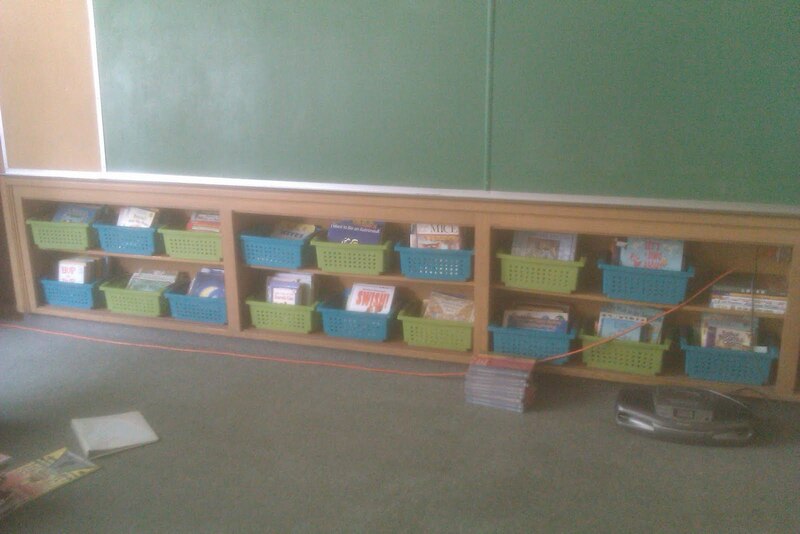 Well I had more blue and the green, but when I ever get my own classroom again I will be adding that turquoise color. I love it. It is looking great! :) congrats!